Traineeships give you the Employer an opportunity to take a young person on to support your business and for them to gain valuable work experience which can then lead them to an Apprenticeship or employment. Traineeships prepare young people aged 16-24 for their future careers by helping them build on their current skills, and to gain valuable work experience in the workplace. 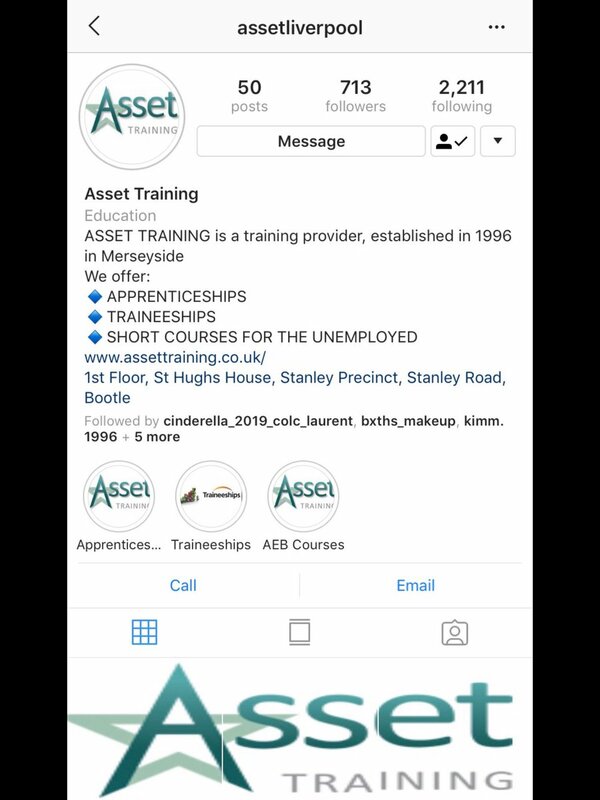 At Asset Training we will offer the young person and yourself a fully blended package, with practical, tailored support and the opportunity for the young person to continue with their study of English and Maths. The young person will gain valuable work experience at your business, which will give them a well rounded insight in to the world of work and offer support within your business. As an employer you get to see the young person in the work environment, you get to know them and see their effectiveness and commitment to your business. You and your team have input into supporting the young person to make a difference while they are with you, and you get to develop and teach them new skills to ensure good practice from the start. By offering a Traineeship you are supporting Government initiatives and showing your corporate and social commitment to developing young people for the future. Helping to give young people the opportunity to gain experience and an insight into working life! We will pre screen the best candidates for your Traineeship, matching them to your business requirements and their career aspirations. We pay the travel cost for the young person to ensure they can get to the workplace. The young person may also be entitled to a weekly bursary to support them while on the Traineeship. We can support both you and the young person with an Apprenticeship if you can offer employment following the Traineeship.